It’s hard to believe that we’ve already covered a full year’s worth of literary hunks. Thank God there’s a never-ending supply of gushable crushables, because I am really excited to kick off year two. We started this blog with Professor Bhaer, so it’s only fitting that we spend this September honoring Little Women’s other resident hunk—one of my all-time favorites— Teddy Laurie Laurence. As an adult, Professor Bhaer is without a doubt one of my biggest fictional crushes, but when I was growing up, he couldn’t hold a candle to my Laurie. I love Laurie. I’ve always loved Laurie. I couldn’t understand why Jo didn’t love Laurie. He’s Laurie. For starters, he’s super humble and down to Earth. When Jo first meets him and calls him Mr. Laurence, he says, “I’m only Laurie.” That’s like saying it’s only a cupcake or that actor is only Tom Hardy. He’s got a little bit of that poor little rich boy vibe, with his European schools and his hiding away in his room, which really means one thing: he’s begging for a hug. He has zero problem being BFF to a bunch of girls and is delighted to partake in their plays, join in on their games, and go skating with them. (And, trust me, you really want him around when you go skating.) When Jo can’t dance at a party because the back of her dress is singed (classic Jo), he finds a place for them to dance together all night. Because he’s Teddy Laurie Laurence and he’s the best there is. Also, in the movie, he’s played by Christian Bale. Some might say he’s a bit of a drifter because he wants to play music instead of going to college. I call that passion. Some might think he’s a bit immature because of the way he mopes around Europe after a certain someone turns down his marriage proposal. I call that being sensitive. (He’d been in love with her since the moment he clapped eyes on her!) Some might think he’s a flip-flopper for pining over Jo so much, then falling in love with Amy. I call that growing up. Also, have I mentioned? 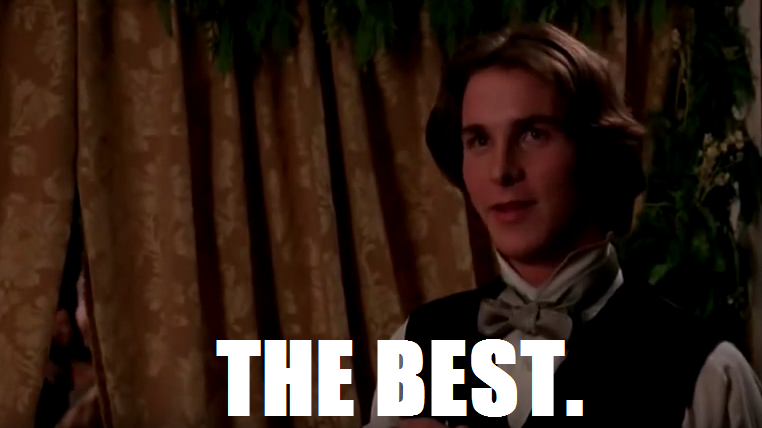 In the 1994 classic, he’s played by Christian Bale. Laurie and Amy are perfect for each other, and as much as I love youthful boy-next-door Laurie, I love grown man, husband and father Laurie even more. I love that he comforts Amy in her grief. I love that he encourages her talents and wants her to be who she is. I love that he finally settles down into who he is. I love that he lets her call him “My lord” and I love that he is the perfect nose kisser when played by silver screen icon Christian Bale. Laurie, Teddy, whatever you choose to call him—the man is a dreamboat. I fell in love with him when I was eight years old and first read Little Women, and I’ve stayed in love with him through all these years. I’ve come to terms with the fact that I don’t need to be Team Bhaer or Team Laurie because really, they’re not competitors. Louisa May Alcott knew what she was doing when she wrote this masterpiece of a book. Everyone ends up exactly as they should. Amy’s got Laurie, Jo’s got Bhaer, and I’ve got a DVD that begs to be rewound when Christian Bale promises Kirsten Dunst he’ll kiss her before she dies. Will the real Laurie addicts please stand up? What do you love most about our dear boy next door? Share the love in the comments below! Miss any of our previous Literary Hunks of the Month? They’re all right here for your swooning pleasure. 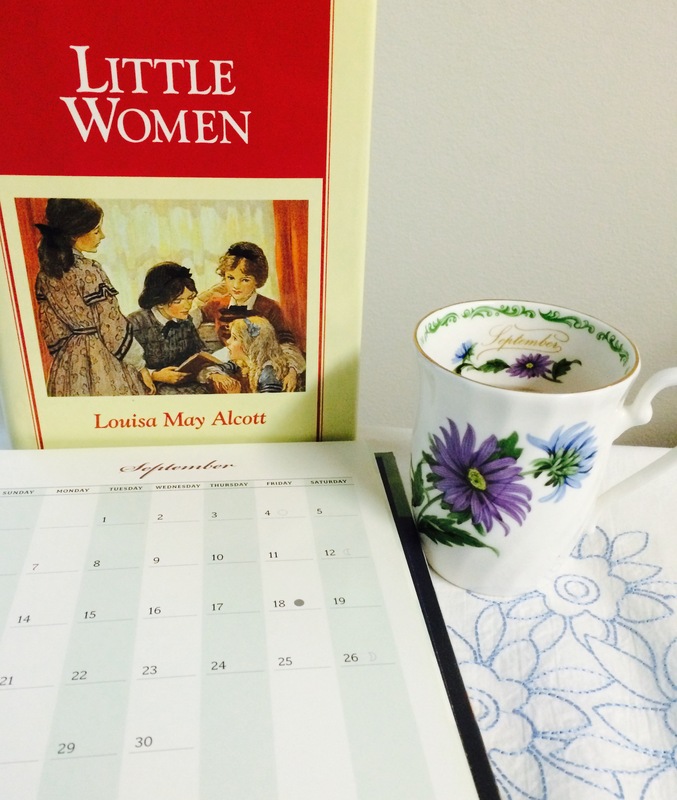 Little Woman in Blue: A Novel of May Alcott — And a Giveaway! Great job Stephanie! Great character insight! Kep them coming! I LOVE Laurie! I have to say, though, that I’m partial to young, naive, impetuous Laurie myself. And Christian Bale is perfect! Young Laurie is pretty great. He’s just the best all around! Reblogged this on Fantastical Romantica.